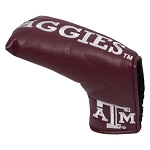 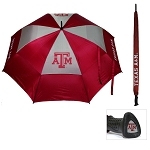 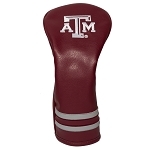 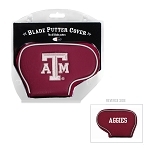 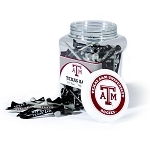 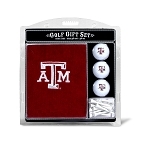 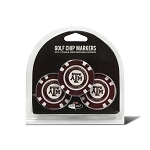 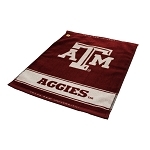 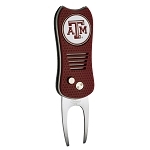 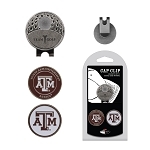 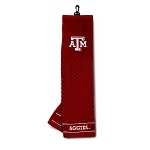 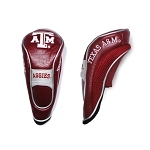 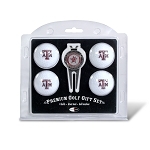 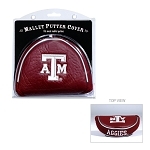 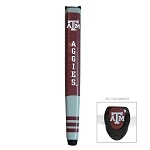 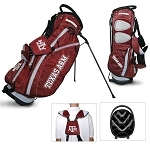 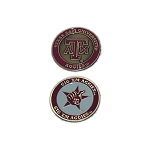 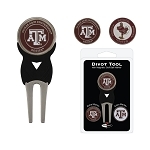 Texas A&M Aggies Victory Cart Bag is rich with features, including an integrated dual handle top, 6 location embroidery, 5 zippered pockets, reinforced large external putter well, padded strap with strap pouch, fleece-lined valuables pouch, cooler pocket, removable rain hood, umbrella holder, and towel ring. 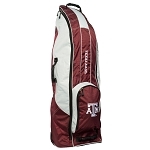 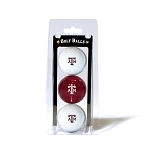 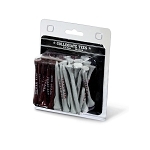 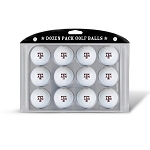 Made of durable 1800 denier nylon and buffalo vinyl.Most all golf bags are shipped directly from the manufacturer in Dallas, TX. 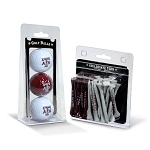 They generally take 4-5 business days to ship out the product, regardless of the shipping method. 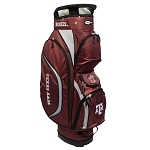 So we cannot guarantee any expedited orders will ship the next business day.Availability can change often on these bags. 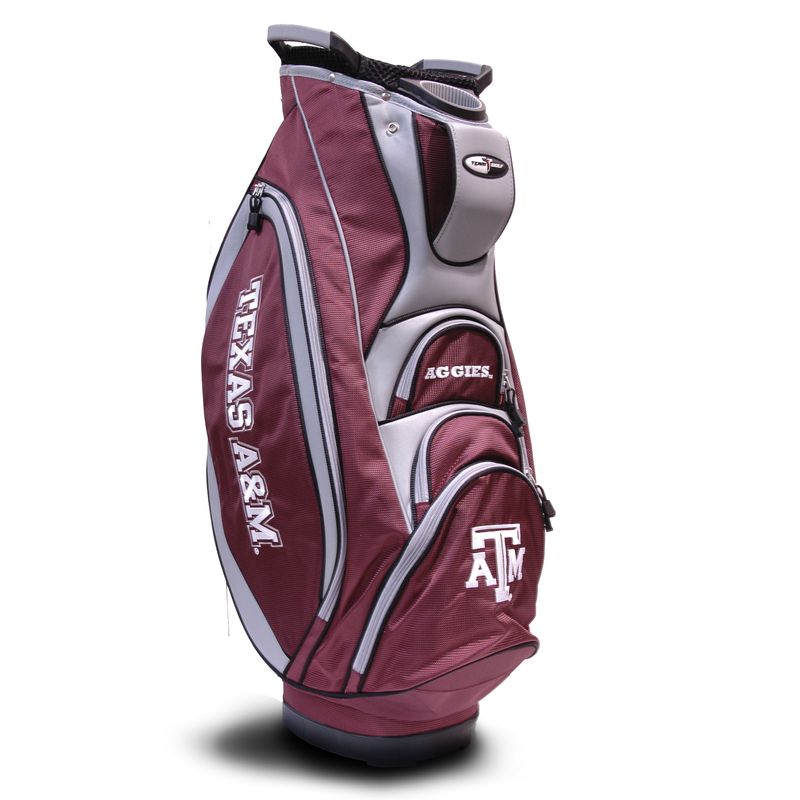 If there are any back order issues with your bag, we will notify you within 5 business days or as soon as we are notified.We strongly advise that if you are ordering a bag with a highly time sensitive order, call us before ordering at 1-877-224-6997.